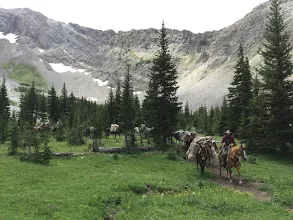 The Bob Marshall Wilderness is the crown jewel of the continental US wilderness collection. By it's rugged nature it's withstood hte march of time and settlement of the West. Visiting the Bob is certainly worth all the effort to get there, but it's not for the unprepared. This is where we make sure your trip is pleasant and memorable. We take care of the details, the planning, the stock, and the equipment so you can enjoy your adventure. 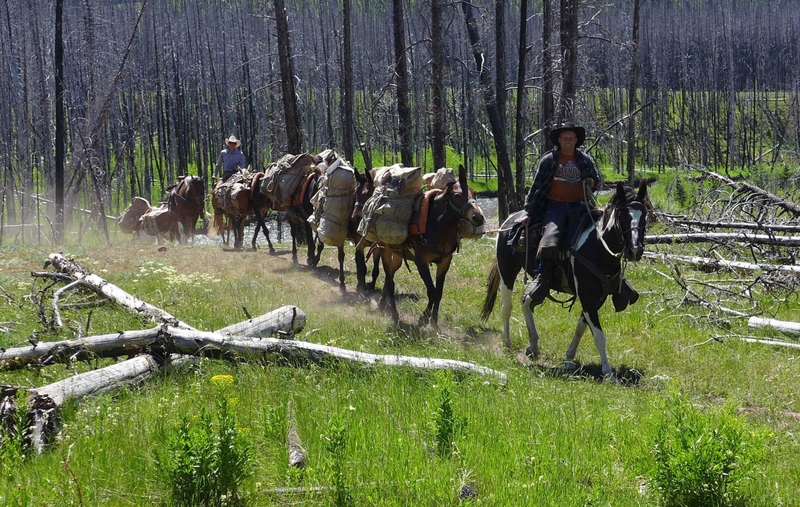 While the trips might be described as "rugged", we kind of think of it as a pretty comfortable camping excursion. 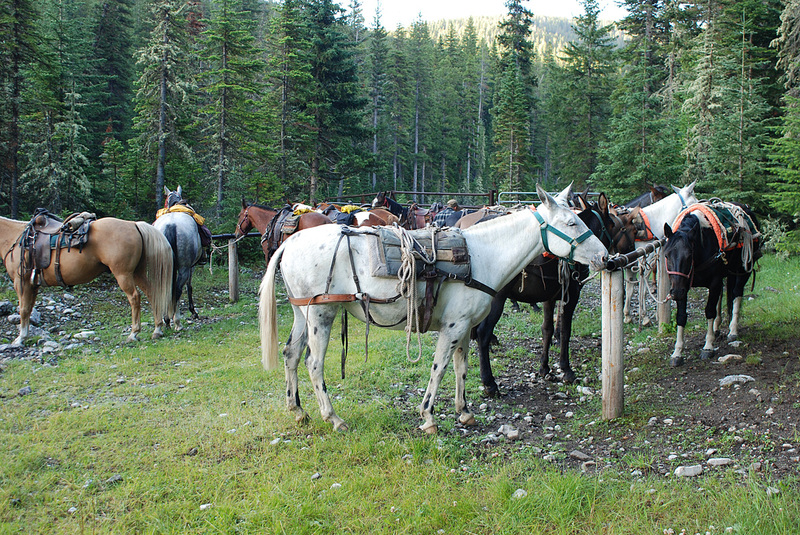 You will have your own saddle horse, and the mules will pack your gear. The food is top notch mountain cooking; hearty and plentiful. The experienced guides take great care of you and the details so you can relax and have a great trip. We don't have a good handle on controlling the weather, but everything else we feel like we've got under control. The best way to think of of a summer packtrip with us is to bring what you need and we take care of the rest! The schedule summary here represents the most up to date information on the comming season. Trip detailed descriptions are found on the downloadable files further down the page. If you have specific questions about any given trip and it's fit for you, let us know your questions. If you are looking for a custom designed trip, we're always interested in putting something together that suits you just right. Let us know how we can help you plan an extraordinary trip this year. Click on the Trip Name below to get additional detail on each individual trip.